On the occasion of the 36th anniversary of the death of the greatest Hajduk's and Croatian football player of the 20th century, Bernard Bajdo Vukas, Hajduk's President Marin Brbić laid a wreath at Bajdo's monument. Born in Zagreb on May 1, 1927, he was a Yugoslav football player, an attacker, a game builder, a great scorer, an unbeatable dribbler. He played 615 games and scored 300 goals for Hajduk. 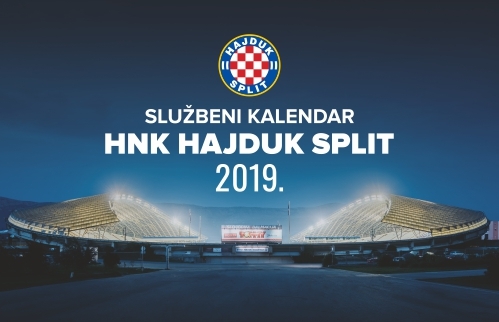 With Hajduk, he won the title of the champions of Yugoslavia in 1950, 1952 and in the season 1954/55. From 1948 to 1957, as a player of Hajduk, he played for A team of Yugoslavia 59 times and scored 23 goals. He is the holder of two silver Olympic medals which he won as a member of the national football team in 1948 in London and in 1952 in Helsinki. He played for FIFA's national team in London on October 21, 1953 against the England national team (4:4) and on August 10, 1955 in Belfast, against the UK team, he played for the European team. In the second match, which ended with the 4:1 victory for Europe, Vukas scored three goals. 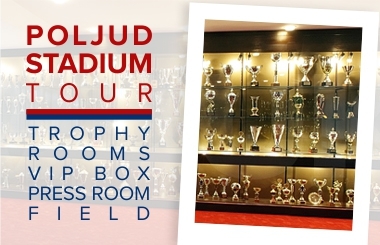 In 2005, she was awarded FIFA's special award "Centennial Order of Merit", in the Vecernji list survey he was declared the best Croatian athlete of the 20th century, he is the bearer of the biggest Hajduk's acknowledgments, the Golden Badge of Hajduk with a brilliant and the Golden armband. In 2004, the Croatian Football Federation pronounced him the best Croatian football player of the century. 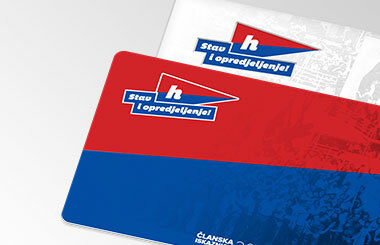 His words, that are carved in his monument, will live eternally: "If I were born again, I would again be a Hajduk player"! Bajdo died on April 04, 1983 in Zagreb.